Before this casino was officially launched, they had a rather serious hiccup: their designers copied the template of another casino which included the logos of both our Accredited Casino seal and The Pogg’s. This caused their casino to be tossed into the Rogue Pit for using these seals without permission. But the rogue status was short-lived; they called and apologized. It was never intended to be. So, that is a plus point – they are responsive to what is happening in the player community. They haven’t really launched yet – when they do, I expect them to be in the Grey Zone. 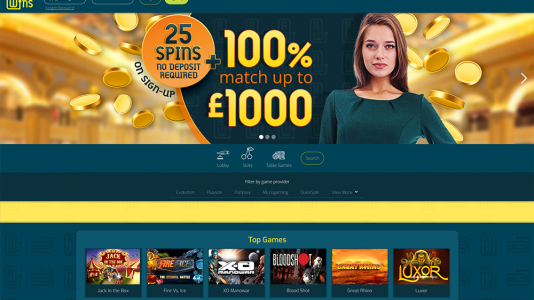 They are a Pariplay casino, licensed in the UK, and have a decent array of games – but not much video poker as of yet. As time goes by, we will see how they do. Live chat is available from 9am – 11pm (UK Time) every day of the week. Reel Wins Casino Terms and conditions Apply. They made a mistake – admitted it, and apologized, and that is good to go in my book. Once they launch they might be ok. We will see.